The Pakistan governments announcement to push ahead with a plan to sell or lease 500,000 acres of farmland to Saudi Arabia has caused widespread outrage at home, raising serious concern over the deterioration of food security and the threat to territorial integrity. Tauqir Ahmad Faiq, regional secretary at the Ministry of Agriculture confirmed the ongoing negotiation with reporters in an earlier interview. Over the past few weeks the Saudi government has been in talks with us to lease 500,000 acres of farmland and we are currently in the process of locating which land we could give them, he said. The land will be acquired from all four provinces of Pakistan and will be used to grow a variety of crops including wheat, fruit, and vegetables for export to Saudi Arabia, according to Reuters news agency. One proposed area is Bahawalpur, a desert area in the province of Punjab. Though, it remains unclear how the massive water and electricity demands of these large farms will be met. Concerns have been raised that water may be diverted from local irrigation networks, draining vital sources away from small-scale farmers and aggravating rural poverty. The small provinces, it is reported, are also feeling insecure that their share of water from the main sources will be reduced to cater to the interests of their Muslim brother country. The plan is in fact met with vocal opposition from the local press and civil society groups. In an editorial titled Country for Sale, daily newspaper The Dawn criticized the government for violating the United Nations General Assembly resolution on Permanent Sovereignty over Natural Resources. The leaders of Pakistans two main parties, the PPP and the PML-N, had pushed forth with the plan unilaterally without consultation at the National Assemblies. Their eagerness was also demonstrated in their offering of extended tax and rent holidays to the Saudi government, while allowing all produce and profits to be repatriated to Saudi Arabia. Should negotiations succeed Saudi laws will also be applied in the sold or leased territories. For many, this is a direct assault on Pakistans national sovereignty. The acquisition of land in developing countries by richer nations is an increasingly common phenomenon that has caught the attention of various international organizations, including the G8. Critics are concerned about the emergence of a neo-colonial agricultural system. While the local government may reap monetary rewards from the land lease or sale, long-term benefits are less certain. Farming conglomerates owned by foreign investors usually adopt a capital-intensive mode of production that generates few employment opportunities for the locals. For the many poor peasants of Pakistan who are struggling daily to feed themselves and their families, the proposed plan is an outright demonstration of the governments indifference to their rights and welfare. Hundreds of thousands of peasants in the country are landless or without subsistence-level holdings. Indeed, Pakistans hunger level has been rated alarming by the Washington-based International Food Policy Research Institute. According to the 2008 Statistical Year Book, Pakistan imported wheat, mesline, unmilled rice worth more than Rupees 2.5 billion in 2006-2007 alone, indicating that the government is unable to ensure its own food self-sufficiency. For a country that fails to guarantee even basic food security to its people, selling valuable land to a foreign government is nothing short of depriving the people of their right to a minimum reasonable standard of living. It is only less than two weeks ago that eighteen women, many of them teenagers, were killed in a stampede in Karachi city in their desperate bid to get free food ration. The tragedy is a timely warning that poverty in Pakistan has reached such an extreme level that immediate attention is demanded of the government. 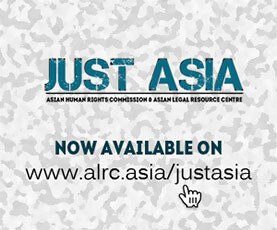 The Asian Human Rights Commission (AHRC) urges the government to seriously reconsider its plan to sell land to Saudi Arabia and other foreign investors, taking into account the welfare of hundreds of thousands of peasants whose livelihood will be directly affected. The government is also urged to take urgent steps to address the problem of hunger and poverty in Pakistan, to ensure that each and every individuals right to food will not be sacrificed for the sake of political or economic expediency.